Already started! Unique opportunity. 1 million AUX in prizes. Top-250 traders win. 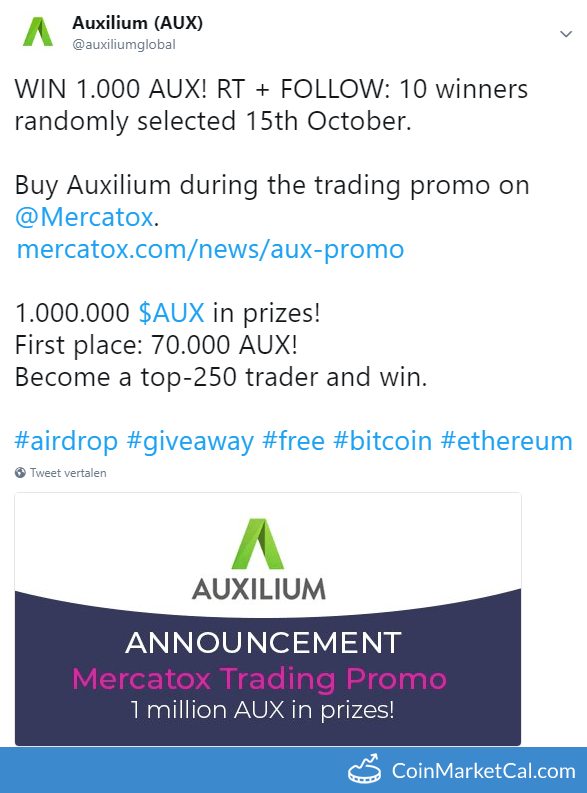 #1 wins 70000 AUX 16th Sept. - 15th Oct.